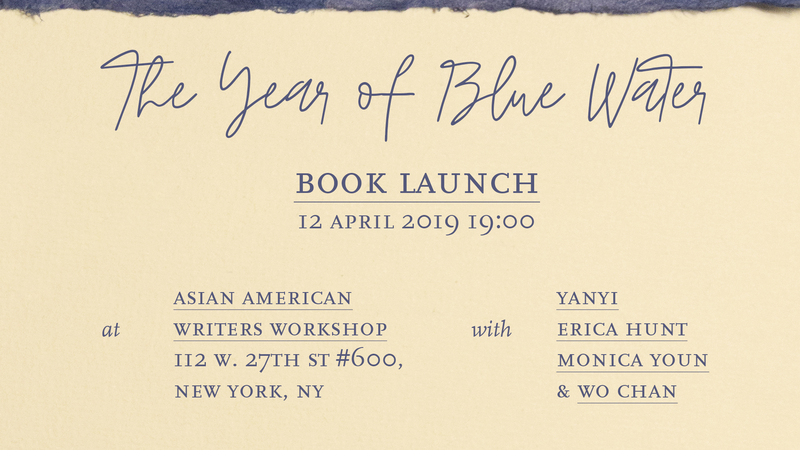 Join us for the launch of The Year of Blue Water, the debut poetry collection from Yanyi, the 2018 winner of the Yale Series of Younger Poets and an AAWW Margins Fellow. Intimate to the reader, elusive to the colonizer, the book creates a space of integration of variegated selves—an intellectual self, a queer self, a trans self, a Chinese self, an immigrant self, all of which share a kind of survival that is all his own. 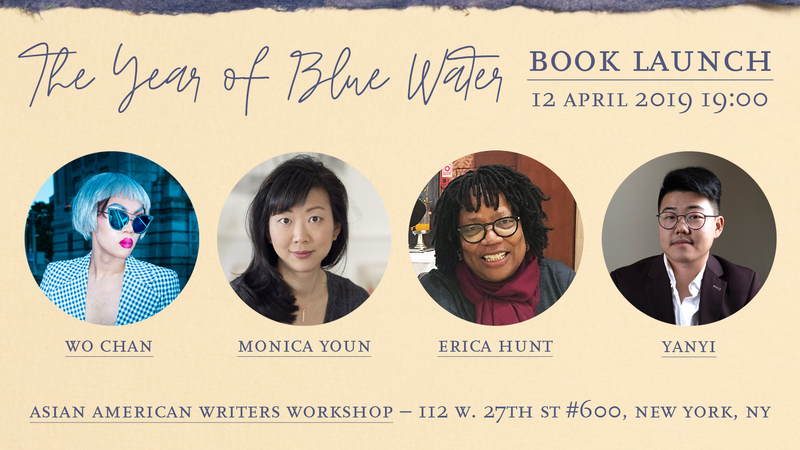 As Carl Phillips, who selected the book, writes: “As its title implies, The Year of Blue Water reads as a record of time, a kind of daybook of observations in sentences so crystalline, spare, direct, and yet offhand, that it can be easy to miss, at first, the book’s complexity.” Yanyi will be joined by poets Wo Chan (a fellow former AAWW Margins Fellow), Erica Hunt, and National Book Award Finalist Monica Youn, a member of the AAWW Board of Directors. You are cordially invited to launching this book into the world. Dress code: jean jackets. Yanyi is a writer and critic. In 2018, he won the Yale Series of Younger Poets Prize, awarded by Carl Phillips, for his first book, The Year of Blue Water (Yale University Press). His work has appeared or is forthcoming in Poetry, Tin House, A Public Space, and Granta, and he is the recipient of fellowships from Asian American Writers’ Workshop and Poets House. Currently, he is an associate editor at Foundry and an MFA candidate in poetry at NYU. Find him at yanyiii.com. Wo Chan is a queer poet and drag performer living in Brooklyn. 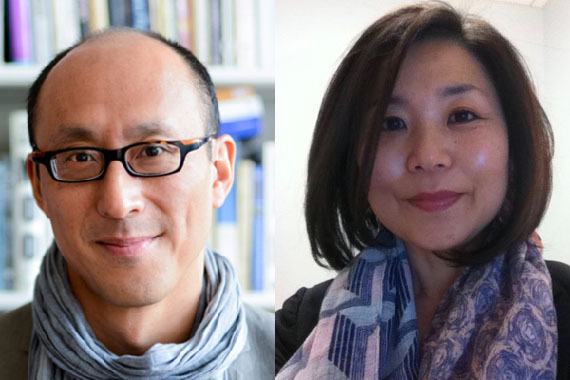 Wo has received fellowships from the New York Foundation of the Arts, Kundiman, and the Asian American Writers’ Workshop. As a member of Switch N' Play, Wo has performed at venues including The Whitney, National Sawdust, New York Live Arts, and BAM Fisher. Check them out @theillustriouspearl. Erica Hunt is the author of Local History (Roof 1993), Arcade (Kelsey Street 1996), Piece Logic (Carolina Wren 2002), A Day and Its Approximates (Chax 2013), and Time Slips Right Before Your Eyes (Belladonna 2006). With Dawn Lundy Martin, she co-edited the anthology Letters to the Future, Radical Writing by Black Women (Kore 2018). Hunt is the Parsons Family Professor of Creative Writing at LIU Brooklyn. Monica Youn is the author of Blackacre (Graywolf Press, 2016); Barter (Graywolf Press, 2003); and Ignatz (Four Way Books, 2010), which was a finalist for the National Book Award. Her poems have appeared in numerous journals and anthologies, including the New Yorker, the Paris Review, and the New York Times Magazine, and she has been awarded fellowships from the Library of Congress and Stanford University, among other awards. A former attorney, she now teaches poetry at Princeton University and is a member of the Racial Imaginary Institute.